Magica Eyelashes are the most natural looking lashes on the market today. There are many variations on this product which doesn’t fit the lash line and consists of plastic fibers. We only use the most natural, cruelty free Silk fibers. 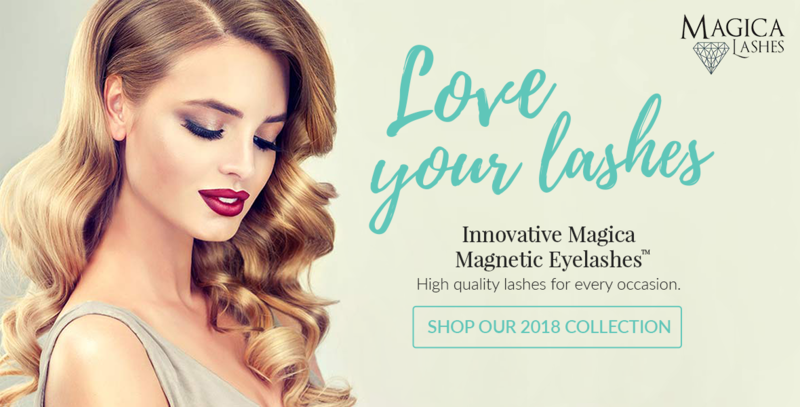 Saving time and money wairing this personal 100% Silk magnetic eyelashes from Magica Lashes. Every time you go out it becomes a party. Enjoy your new look every day or wear them at special occasions, we’ve got you covered! Gentle on eyes without glue! Two strong very small magnets will hold the lashes on the place. Make sure you bend the lashes to fit the lash line first to get the optimal look. After bending the lashes to fit the lash line they become more curved after multiple uses which makes it easier to apply every time you wear them. Allthough the magnets are very sensitive, you can expect to use the lashes multiple times before they come off. You can expect between 10 and 30 times. If not, send us a message.